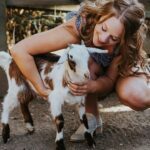 I recently tried goat yoga at Maan Farms in Abbotsford and it was really, really fun! 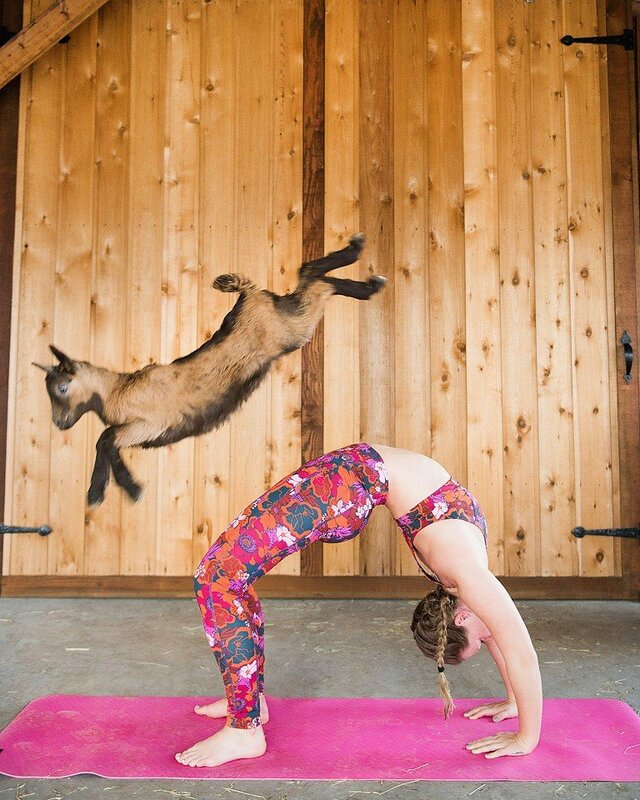 Not only do you get to hang out with adorable baby goats and older goats..but it is also such a great workout. 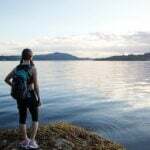 It is such a fun experience to do with friends or just on your own. 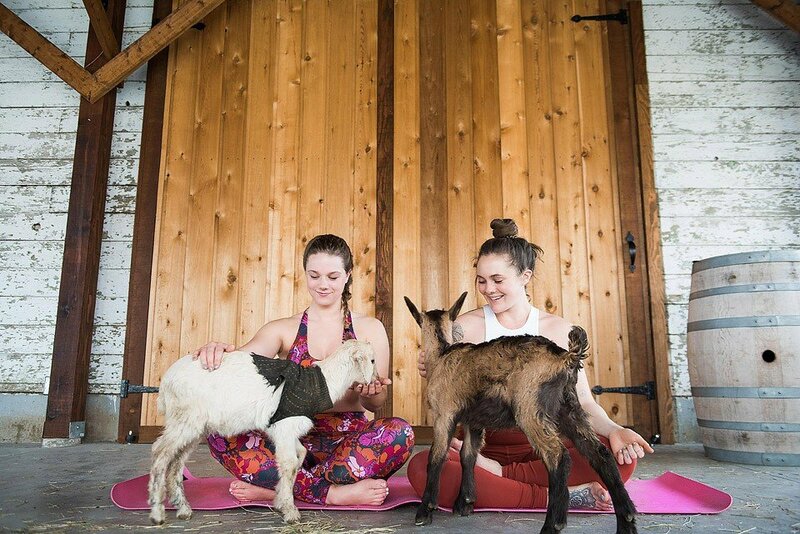 After your goat yoga class, you even get a cup of traditional Indian chai made with freshly grounded cardomom, fennel, cloves and cinnamon. Yumma! 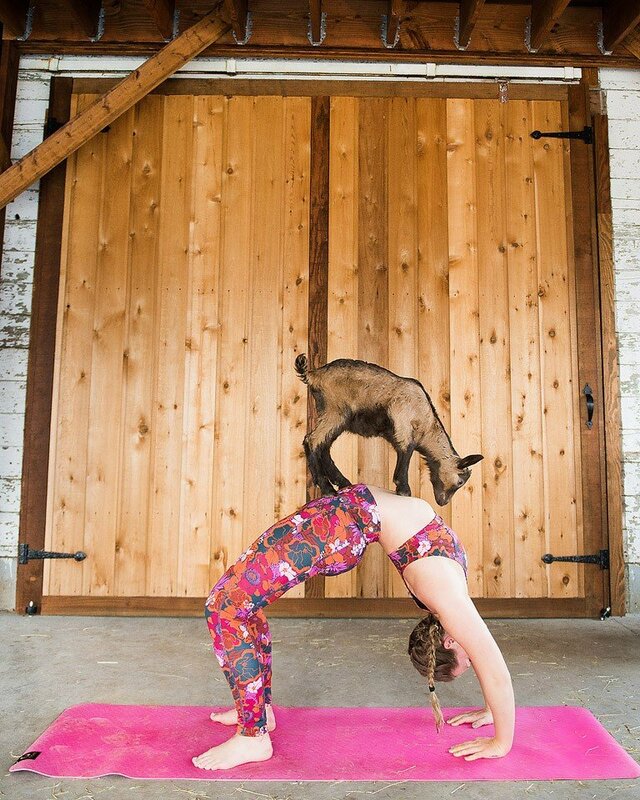 Goat yoga is with goats and on a farm, so expect to get dirty…but that is just part of the experience of getting close to natures critters. 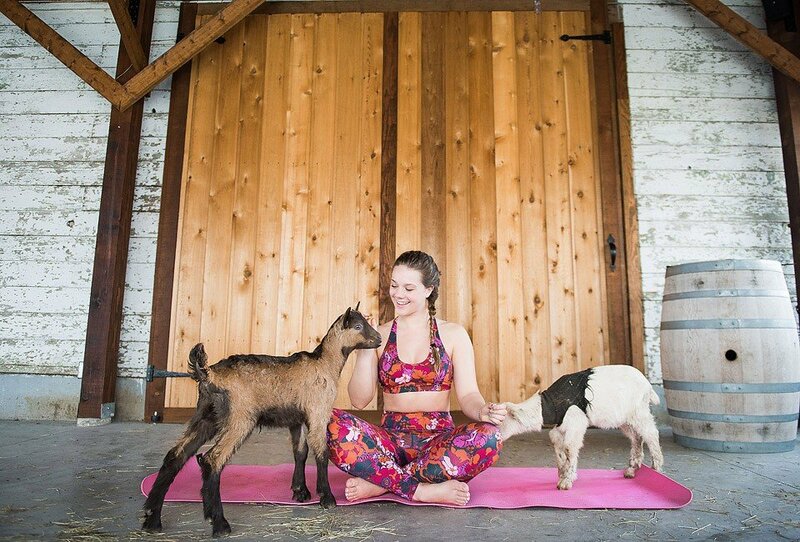 Yoga is a great way to relax and take time for yourself. 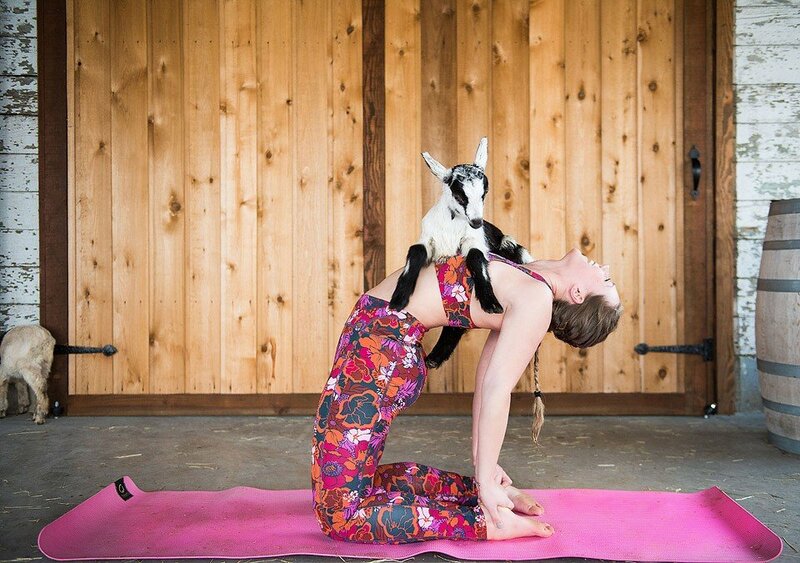 I have always been a fan of yoga but only do it periodically, so I consider myself quite the novice. 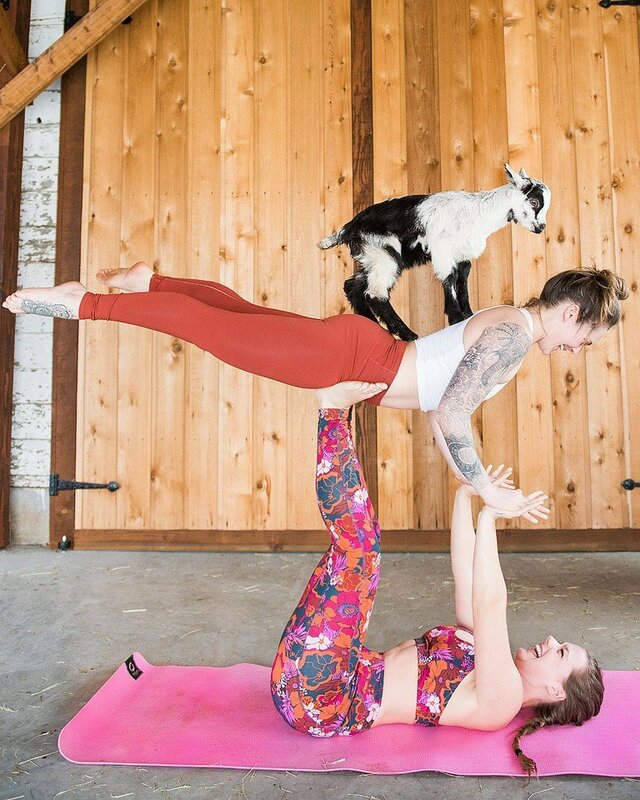 I was lucky to have my new friend Abbey there to help me get into some easy poses. 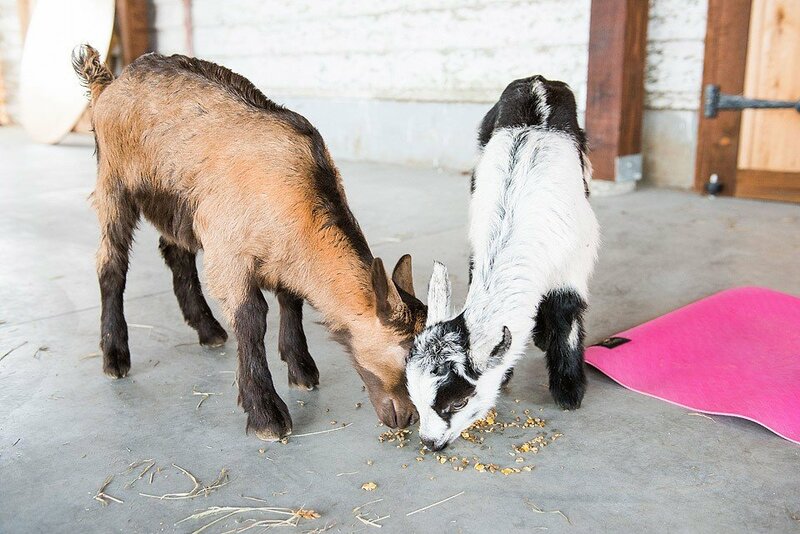 Thanks to Brooklyn D Photography for the adorable photos! 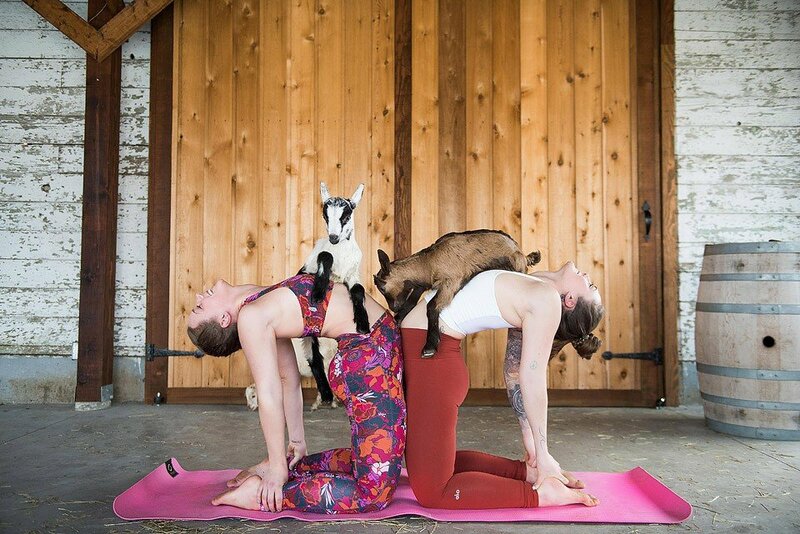 Hope y’all try some goat yoga at Maan Farms or someplace local to you. Leg Workout for the Win!